Walk in interview for the posts of AYUSH Doctors - Male and Female with a Bachelor's degree from approved institution in Ayurvedic/ Yoga Nnani/ Siddha/ Homeopathyon 6-11-13 ,Pharmacist on 7-ll-13 and ANM on 8-l l-13 in the districts Faridabad, Fatehabad, Gurgaon, Jhajjar, Kaithal, Rewari, Rohtak, Sirsa & Sonepat of Haryana under Indira Bal Swasthya yojna (lBSy) (RBSK). Essential Qualification for HMO A degree in Homeopathy from the institute mentioned in second & third schedule of Homoeopathy Central Council Act 1973. 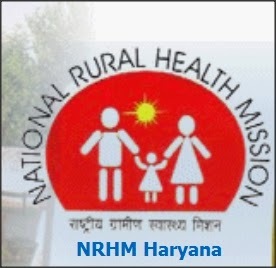 Registered rvith State Council ol' Homoeopathy System of Medicine ,Haryana / Central Council of Homoeopathy System of Medicine.